Through intense observation, students in Portrait Painting, under the guidance of an FAA instructor, will develop their ability to reproduce an accurate visual impression of the model. Toby will guide students through step by step program, focusing on drawing and techniques to reproduce shadow and light in oil painting, while also studying the anatomy and construction of the skull. The Summer Sessions at The Florence Academy of Art / Sweden are designed for students with a strong desire to develop their artistic skills. 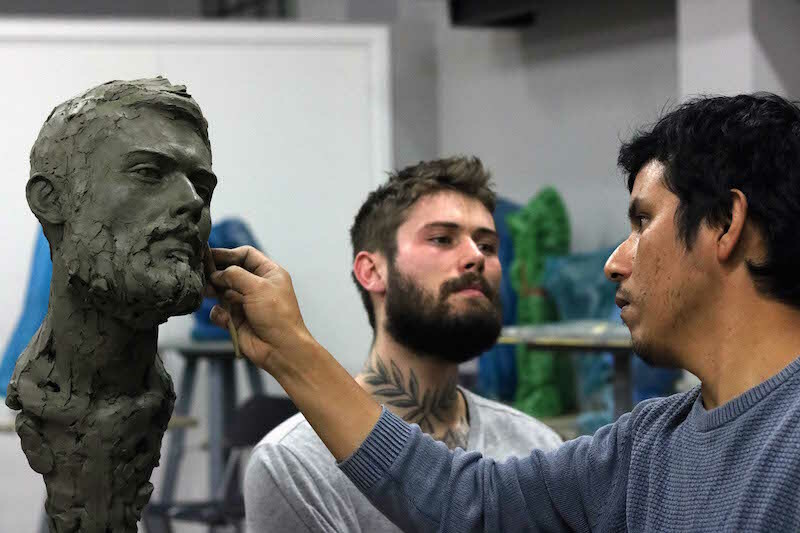 The courses are led by professional artists with years of experience in teaching classical methods, are intended for those with a passion for creating realistic art. Most of the instruction is on an individual basis and our instructors adapt the exercises to your level of experience, which means that the courses are suitable for both beginners and professional artists. In addition to the individual feedback, group lessons will be held. The instructors will also give lectures and lead museum visits. The skills you acquire during your course can be applied directly to your continued artistic endeavours. Whichever course you prefer, you will take advantage of the expertise of all of the instructors. Demonstrations and lectures including students from all courses are an inspiring way to get new perspectives on the knowledge that your selected course will provide. It is also a great opportunity to gain insight into other disciplines. Maximum number of participants: 15 per week. Students work from the live model six hours per day. All materials necessary to complete the course. 6 hours per day with the model (with the exception of landscape painting and Ecorché sculpture). Assistance with housing and accomodations: The Florence Academy of Art will provide a list of available housing in the vicinity to accepted students. Students are responsible for booking their own housing. The cost of housing is not included in the tuition fee. Assistance with shipping work completed during the course. An additional fee will be charged for this optional service. The administrative staff is available before the course, as well as during the course, to assist students and answer questions. Born in 1980, Trondheim Norway, Per Olav Olsen works as a painter in his own studio In Verdal, Norway, and teaches regularly workshops in painting and drawing. Olsen works mainly on portrait commissions, along with his personal work. Searching for the story in each subject, he uses intuition and a natural ability to sense his subject’s character to represent it. For Olsen, interacting with and getting to know his subject is integral to portraying the individual. Each subject will “tell” how it wants to be painted. Composition, design and techniques are his tools that allow him to capture a solid representation. Olsen has participated in group exhibitions in Florence, Gothenburg and Los Angeles. His work is represented by Galerie Michael, Beverly Hills, CA. Carl-Martin Sandvold graduated from The Florence Academy of Art with a diploma in Sculpture in 2009. From 2011-2016, he continued his studies in drawing and painting in several renowned art schools, both in New York and Florence, including the Grand Central Academy, The National Academy and Charles Cecil Studio. During those years, Carl-Martin worked with all the dominant techniques used by artists working in realism today. The painting of still life has a long tradition of taking humble, everyday objects and transforming them into timeless representations of beauty. During this course students will discover how to achieve this transformation through the use of composition, light, and color. 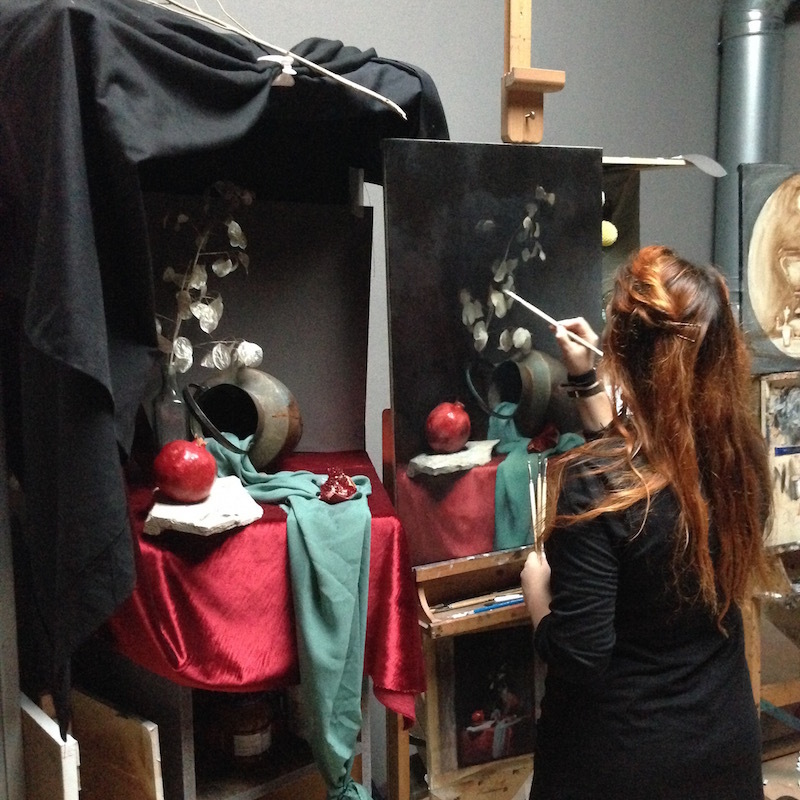 Students will learn how to arrange a still life, mix colors, depict different materials, and how to apply paint in a variety of ways to create the illusion of reality. Classroom discussions will cover the history of still life painting, ideas on aesthetics, and how art can have an effect on our everyday lives. for drawing. With the encouragement and support of his family he won various competitions and awards in his home state before going on to major in art at Pepperdine University in Malibu, CA. After graduating in 2005 Michael felt he was still lacking good skills in drawing and painting. Determined to learn the ways and techniques of the old masters he went to Italy to attend The Florence Academy of Art. During his studies in Italy, Michael was honored to have one of his figure drawings added to the private collection of The Academy’s student works. A good landscape painter masters the techniques that make it possible to capture an impression of fleeting light and create a sense of time and space. In this course the focus is on the interplay between light and dark, atmospheric perspective, and composition. Our FAA instructor will lead students to location in the countryside surrounding Gunnebo Castle and the lakes in the area – all a short walk from the school building. These spots all offer fantastic opportunities for landscape painting in oil.